How to recover deleted videos from iPhone directly? 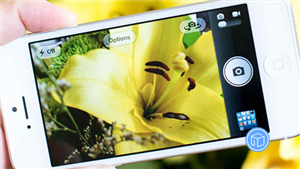 This guide shows you a new way to retrieve videos from iPhone without backup. By nature, an iPhone is always in danger of getting damaged, lost or stolen. How about your important iOS data? 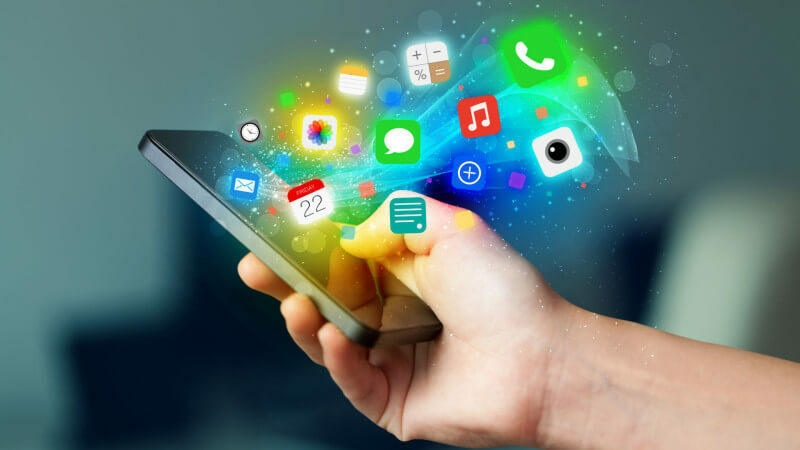 To help you recover your lost or mistakenly deleted photos, messages and other data on your iPhone or iPad, we collected 5 top best iPhone Data Recovery Software and evaluate them carefully to provide valuable references for you. Basically, there are two kinds videos we stored in our iPhone: movies we downloaded or purchased from iTunes Store, and the video we take with the iPhone built-in camera. However, you may lose these videos due to mistakenly deletion, failed iOS upgrade, jailbreak, device crash etc. As is known to all, videos we purchased or downloaded from iTunes Store can be re-downloaded. To retrieve these deleted videos from iPhone, you can just log in the same Apple ID with which you purchased or downloaded videos, and download them again. However, things can be tough when it comes to retrieving deleted videos taken by the iPhone’s built-in camera, especially when there are no any backups. 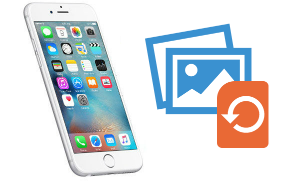 Here in this post, we will show you simple and safe ways to retrieve deleted videos from iPhone 5/6/6s/7/8/X with/without backups. Please keep reading and get more details. 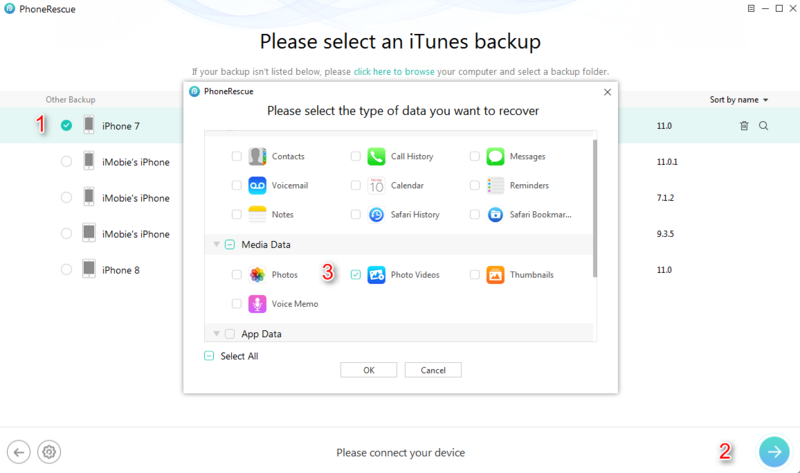 In order to recover deleted videos from iPhone without any backups, you have to act fast and get an iPhone data recovery tool – PhoneRescue for iOS. When videos are mistakenly deleted from iPhone, they are just hidden somewhere on iPhone and they will not be permanently removed until the iPhone is massively operated like force restart, downloading new Apps. That’s why PhoneRescue for iOS can help you recover deleted videos from iPhone without any backups. Through deep scan, deleted videos can be found and recovered to iPhone. 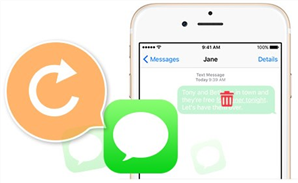 There are reasons why people say Phone – iOS data recovery is the tool to retrieve deleted videos from iPhone without backups. To start with, you can selectively recover videos to the computer as readable format. Besides, PhoneRescue for iOS can also help you recover 22 types of other data from iPhone like photos, messages, notes, contacts and so on. Now Free Download PhoneRescue for iOS or its pro version to computer and follow us to recover deleted videos to iPhone. 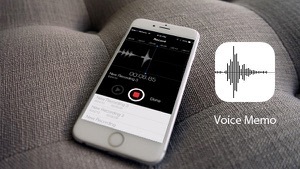 Note that PhoneRescue for iOS is developed by an Apple certificated developer and it is now Norton and McAfee secured. Just be free to try now. Step 1 Launch PhoneRescue for iOS to your computer and plug in your iPhone. 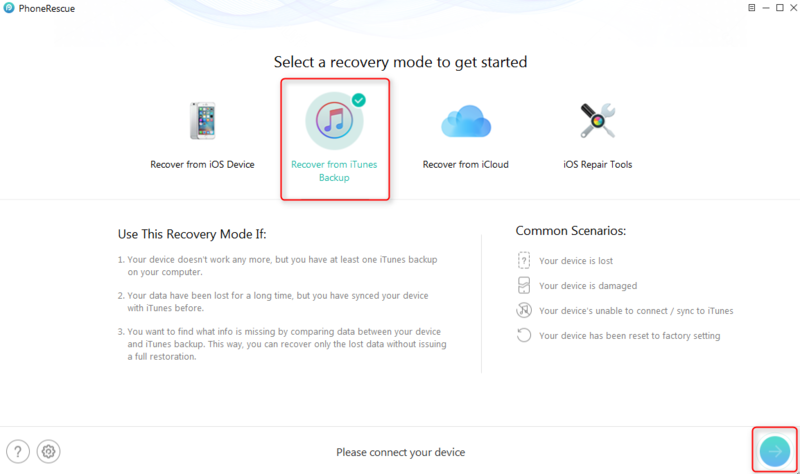 Select Recover from iOS Devices and then click the Right Arrow button to continue. Step 2 Uncheck Select All box, then check the box of Photo Videos and Videos. Don’t forget to click OK. Step 3 PhoneRescue for iOS would display you all videos, including the lost one. Select the video you want to recover from iPhone, click the To Computer button to recover. 2. If PhoneRescue for iOS fails to display your deleted videos, it means these videos have been overwritten by new data on your iPhone. Please try to recover deleted videos to iPhone from iTunes or iCloud backups. Recovering deleted videos from iPhone with iTunes backups seems easy, however, many iPhone users would be stuck in the problem of choosing a wrong iTunes backup. Besides, all existing data on your iPhone would be replaced by the backup data, that is to say, further data loss might occur after recovering deleted videos from iPhone with iTunes backups. What’s worst, you may recover nothing but lose more iPhone data. 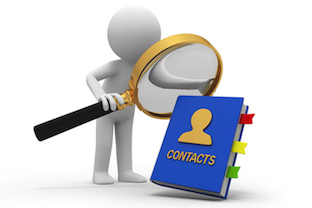 Fortunately, a professional PhoneRescue iPhone Data Recovery is there to help you solve these problems. On one hand, you can use it to scan iTunes backup and see if deleted videos are in the backup before recovering. On the other hand, it won’t replace any existing data on your iPhone. More than anything, you can selectively recover deleted videos you want rather than the whole backup. Step 1 Free Download PhoneRescue for iOS to your computer and then launch it. Do make sure that there are previous iTunes backups on computer. Step 2 Connect your iPhone to the computer with a USB cable. Click Recover from iTunes Backup and then click the Right Arrow button to continue. Step 3 Select one iTunes backup and click the Right Arrow button again. Check the box of Photo Videos. Don’t forget to click on OK. Step 4 PhoneRescue for iOS would display you all deleted videos in your iTunes backup. Click the To Computer button and you can save deleted videos to computer as viewable format. 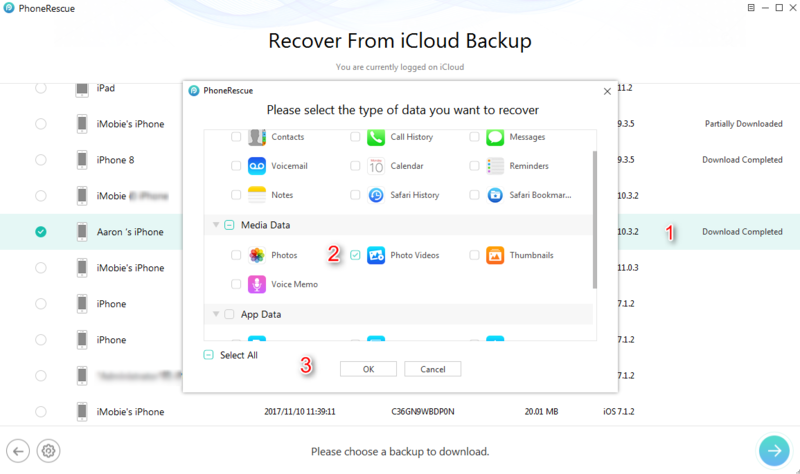 Besides recovering deleted videos from iPhone directly, recovering deleted videos from iPhone with iTunes backup, PhoneRescue for iOS is also capable of helping you recover deleted videos from iPhone with iCloud backup. 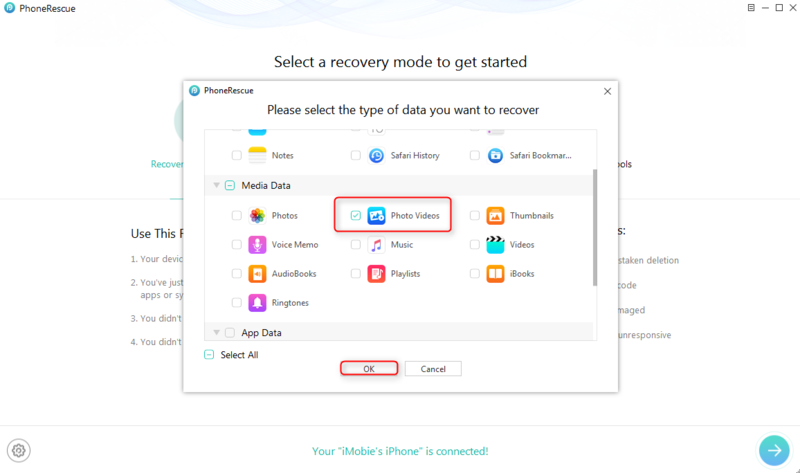 Now Free download PhoneRescue for iOS and follow the steps below to recover deleted videos from iPhone with iCloud backups. Step 1 Launch PhoneRescue for iOS on your computer and connect your iPhone to the computer via its USB cable. 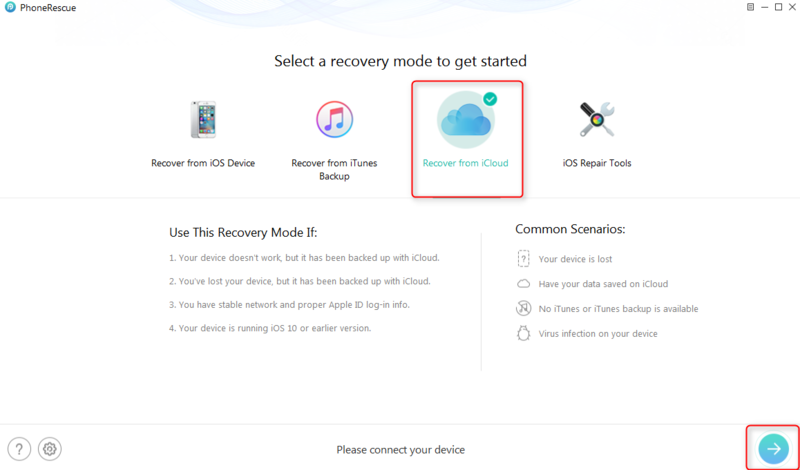 Select Recover from iCloud mode, and then click the Right Arrow button as is shown below to continue. 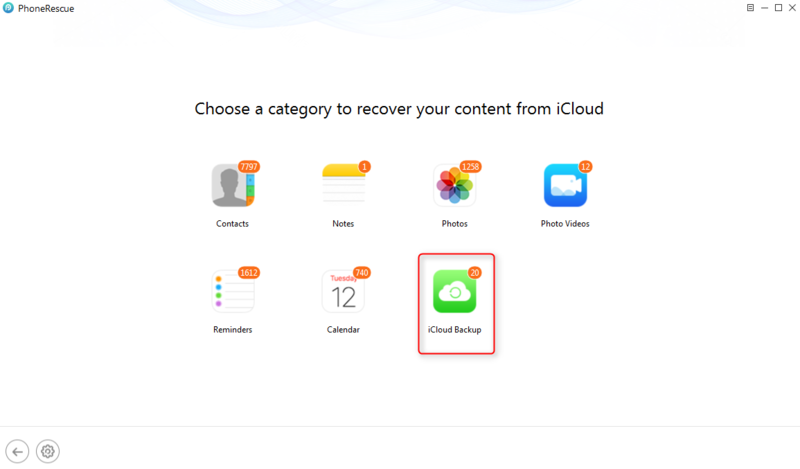 Step 2 Log in your iCloud account and select iCloud Backup. 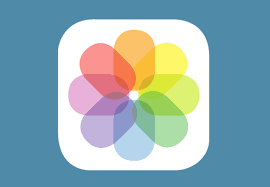 You can also download Photo Videos you synced to iCloud to computer. Step 3 Here you can see all iCloud backups you’ve made. Choose one iCloud backup and click download. Check the box of Photo Videos and click OK. 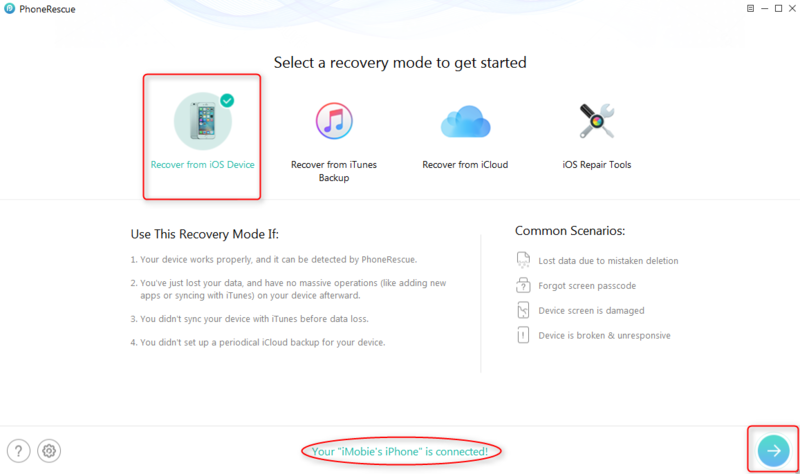 Step 4 PhoneRescue – iOS data recovery will display you all videos in iCloud backup. 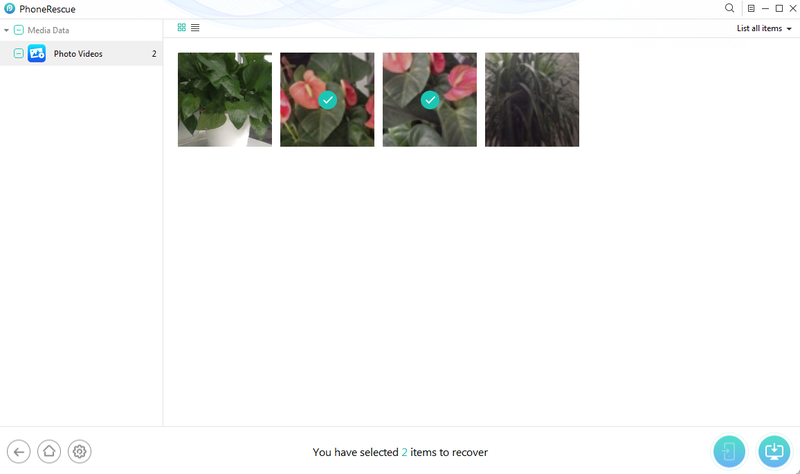 Select the one you want to recover and then click the To Computer button to save deleted videos to computer. 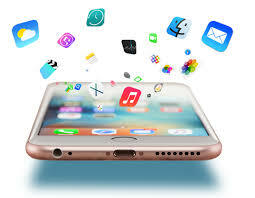 Losing or deleting videos from iPhone by accident always drive people crazy, with the help of best iPhone data recovery software – PhoneRescue for iOS, you can say goodbye to this feeling forever and easily get back deleted videos from iPhone in minutes. 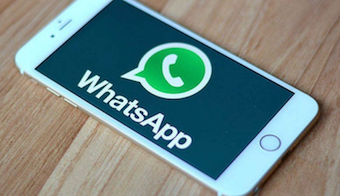 Why not download and give it a try now? If you meet any problem during recovering deleted videos from iPhone X/8/7/6S/XS/XR or older generations, be free to tell us by emailing us or leaving a comment in comment sections, we will reply to you as soon as possible. At the same time, be kind to share this tutorial with others.